Eliminate frustration and keep your cords organized. These handy cable clips will keep your cords in one place so they can be easily found and ready for use. 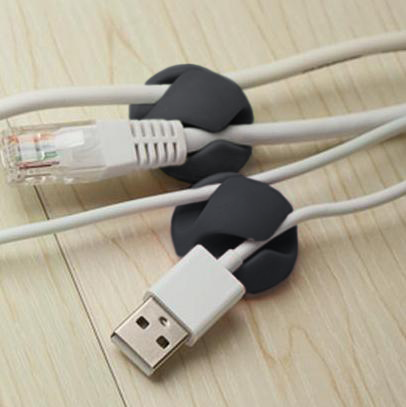 Prevent cables from falling behind a desk or tangled with other cords. These Cable Clips come with a strong 3M adhesive for a very secure placement that can handle everyday use. These can also accomodate multiple cords and cables. These are great for cables to keep them from dropping to the floor and getting damaged. My phone charger cable kept getting stepped on and cords are not cheap! The one I have at work is a light up cable so I want to be careful to not damage it. I have begun to also use these on the cords I charge my phones on at night. I have my work phone and my personal phone and the cables can be a mess. The 2 cord holding one is best for that since I stack the phones on a shelf. I love these!! Please see the full video review I have posted below.